Step aside boys. Katniss is here. 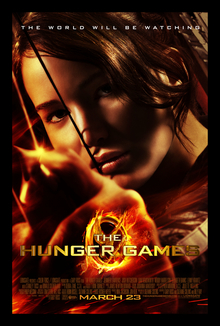 Katniss Everdeen is the main protagonist and the narrator of the Hunger Games trilogy portrayed on film by Jennifer Lawrence. She exhibits the characteristics of athleticism, strength, courage, prowess with weaponry, and cool-headed reasoning. Katniss is a turtle (introverted type). [Review Personality Traits] She enjoys her solitude, preferring time alone in the woods to crowds and prolonged social interaction. She spends a lot of time inside her head associating objects or settings with memories and impressions—she thinks about Peeta as “the boy with the bread,” and Prim with her duck-tailed blouse. She doesn’t like being the center of attention and hates being on display in front of a crowd, as evident during her Capitol interview. Haymitch tries to teach Katniss how to speak in front of the crowd during her interview with Caesar Flickerman, but fails saying she has the charm of a dead slug. Katniss is an eagle eye (sensing type). She is a realist not a dreamer. When Gale and Peeta have visions of rebellion, Katniss brings them back to reality. Peeta: “I just keep wishing I could think of a way to show them that they don’t own me. If I’m gonna die, I wanna still be me. Does it make any sense?” Katniss: “Yeah. I just can’t afford to think like that.” Katniss is also keenly aware of her surroundings and has a great memory for factual detail. Her father had long ago told her about night lock berries. “Not these, Katniss. Never these. They’re nightlock. You’ll be dead before they reach your stomach.” When Peeta mistakes them for edible berries Katniss stopped him from eating any, remembering her father’s exact words. Katniss is a pointy head (thinking type). Never warm and sociable, Haymitch tries to coach Katniss on winning friends, telling her, “You really wanna know how to stay alive? You get people to like you. … And right now, sweetheart, you’re not off to a real good start.” Katniss is always practical and matter of fact. She is resourceful and clever, a strategic thinker, and able to quickly develop plans for survival. As her family’s main provider, she prioritizes efficiency and practical utility. Katniss is a hippie (perceiving type). She’s adaptable, quick on her feet and cool in the face of danger. She is also highly adept at the use of tools, a sure sign of an eagle-eyed hippie. The pointy-headed, eagle-eyed hippie turtle is the Engineer (ISTP). The hallmark of the Engineer is the ability to make the best of whatever resources are available at hand. 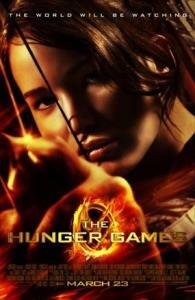 Katniss’ strengths include physical grace and the masterful operation of tools and equipment. Her weaknesses include an inability to easily process and share emotions. Like other eagle-eyed hippies, she is concrete and realistic and willing to achieve her desired results using the most effective means available, whether or not socially approved.